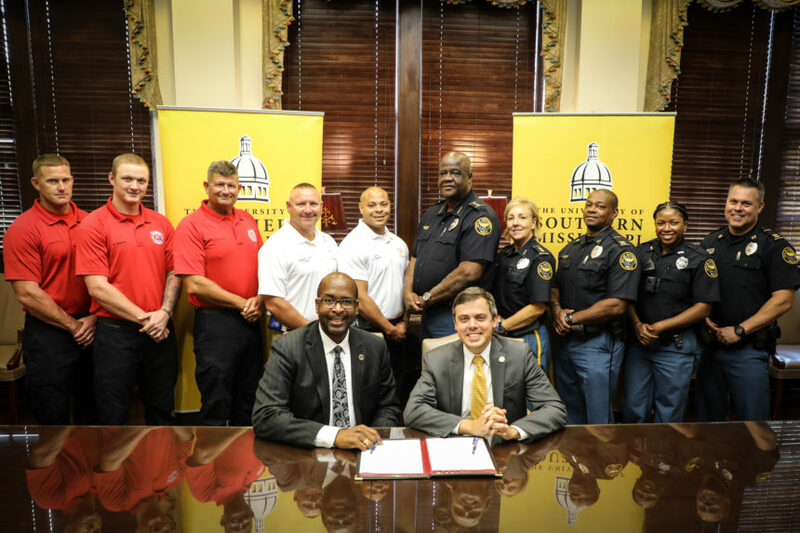 Hattiesburg, Mississippi – Last week, Hattiesburg Mayor Toby Barker and The University of Southern Mississippi President Rodney D. Bennett signed an agreement to offer up to six credit hours each semester to full-time sworn employees with the Hattiesburg Police Department and Hattiesburg Fire Department. 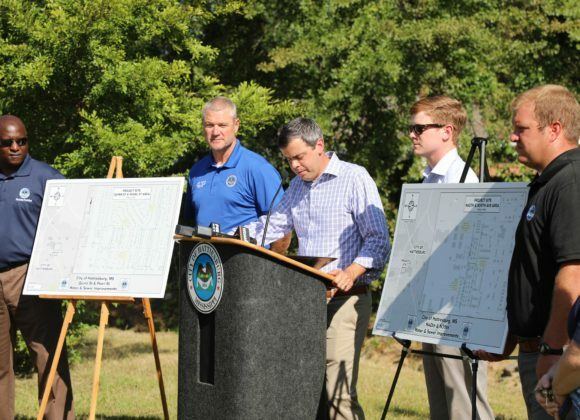 The agreement was approved by the Hattiesburg City Council earlier this summer. 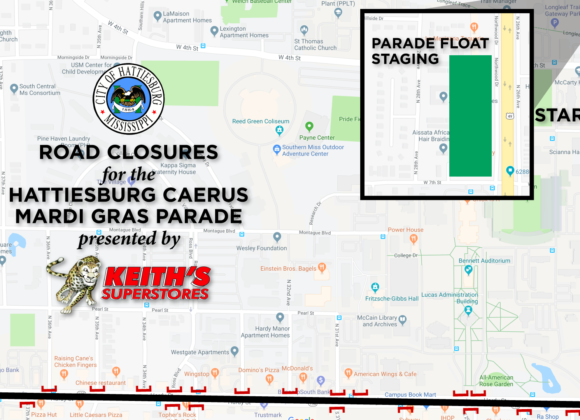 While the agreement went into effect immediately after signing, both organizations will spend the next few months meeting with all shifts for both departments to provide orientation. The agreement is currently slated to support completion of undergraduate degrees only, with both traditional and online classes available for enrollment. Program enrollment will begin for the spring semester of 2019. 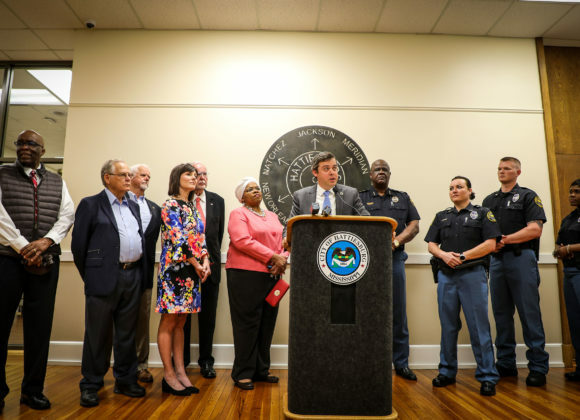 The program cost is shared between the City of Hattiesburg’s professional development budget in each department and The University of Southern Mississippi’s budget, with each entity splitting the cost per sworn employee, per semester.